Cars have captivated the world by storm with incredibly sleek and attractive designs, and along with their amazing ability to cruise through the streets while turning heads; it is no surprise that the BMW Mini is considered to be one of the best cars on the market. Buy a single copy or subscription to Modern Mini magazine. Additionally, with the Mini’s unprecedented mileage per gallon of fuel, the Mini remains as one of the most eco-friendly cars as well. Modern Mini magazine takes a deep look into the entire lifestyle of this car, while at the same bringing you all of the features of this car that has made it a worldwide sensation. If you own a BMW Mini yourself or you are curious about all the wonderful features of this spectacular car, than Modern Mini is the best magazine that you could ever own. Packed full of interesting and fun information regarding the Mini, Modern Mini magazine covers all the aspects that makes this car great, such as the latest news on current and upcoming designs and models, ways in which you can improve your Mini, and the entire culture of Mini owners. 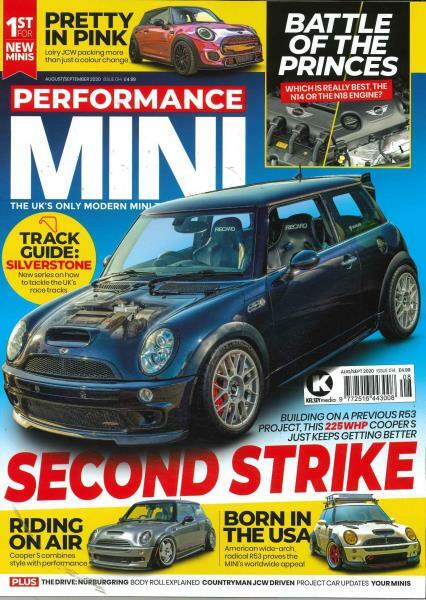 This magazine is passionate about the BMW Mini, and therefore on every page you will find heaps of great articles written by Mini owners themselves, who will showcase all of the ways in which you can improve your life with a BMW Mini.